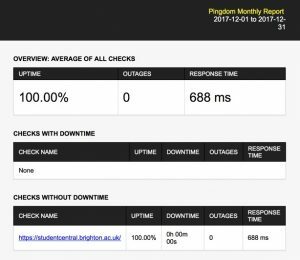 As an addendum to yesterday’s communication we are aware of further issues affecting Turnitin Feedback Studio that have been reported. 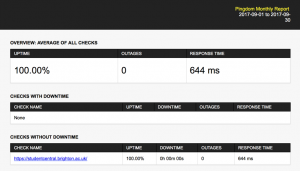 We have informed Turnitin Support and have been working with them to resolve these issues. The exact limit may vary, some staff have encountered a 1,000 character limit. This is caused by slow loading times and can manifest in a variety of ways. 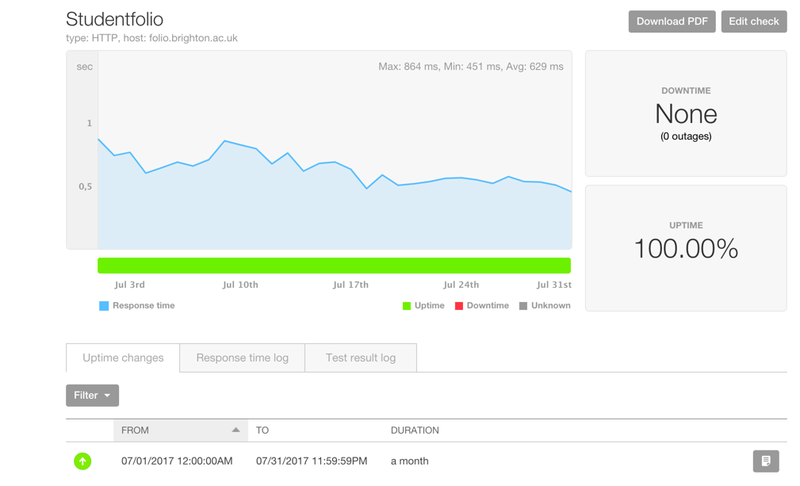 If you encounter this issue, elements in the Feedback Studio such as QuickMarks will typically freeze or become unresponsive. This is the recommendation from Turnitin and should resolve the problem. Using a right-click or double-clicking with the mouse within the Feedback Studio has also led to freezing and slowness and this should be resolved by a refresh as outlined above. All marking actions in Turnitin are controlled by a single left-click; this is a usability issue that Turnitin still need to address. 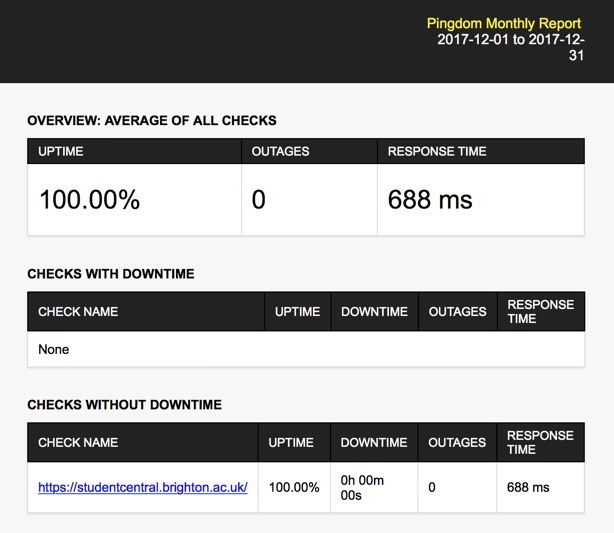 This is caused by a synchronisation issue between Turnitin and the studentcentral grade centre and subsequently My Grades, the method by which students access their unratified marks and feedback. This issue will only be encountered by students. 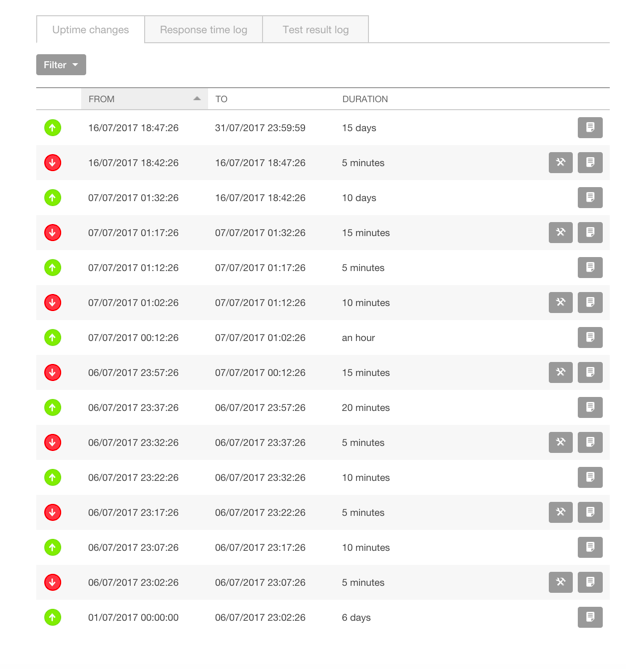 When the error arises affected students will be shown an integration error page when they attempt to access their feedback. Solution: this issue can be addressed by clicking the Sync Grades option above each Turnitin Inbox in a module. This option can be accessed by going to Course Tools, then Turnitin Assignments and the “Sync Grades” link is seen above each inbox in the module. Using the Sync Grades link forces Turnitin to re-synchronise with the grade centre and to pass through any marks and feedback which are not passing between the tools correctly. We continue to work with Turnitin Support to resolve these issues. In the meantime, if you encounter these issues please contact the service desk who are able to provide further advice. 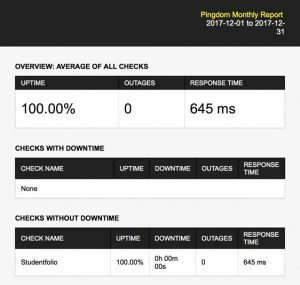 Both studentcentral and studentfolio show 100% uptime (no unscheduled downtime) over December. 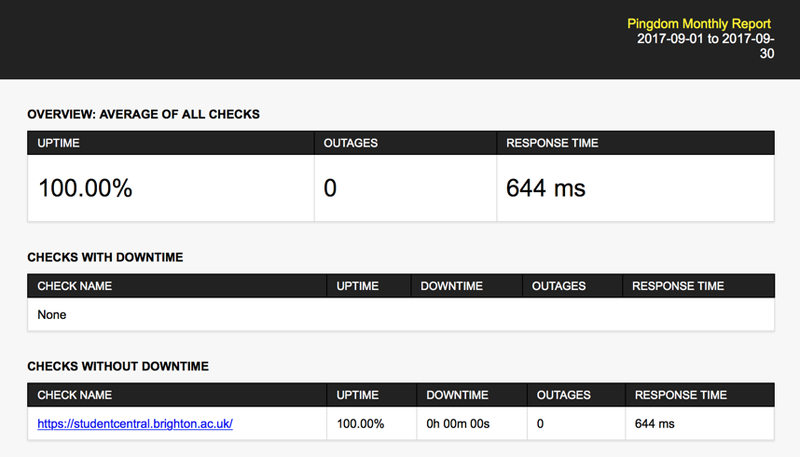 On Wed 22nd Nov between 02:42 -03.03am we had reports from our data centre that studentcentral was unavailable. We are investigating the cause of this. 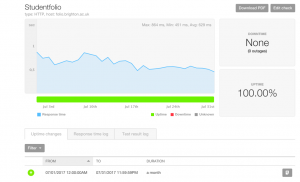 In September Studentfolio was up for 99.99% with an average response time of 820ms. 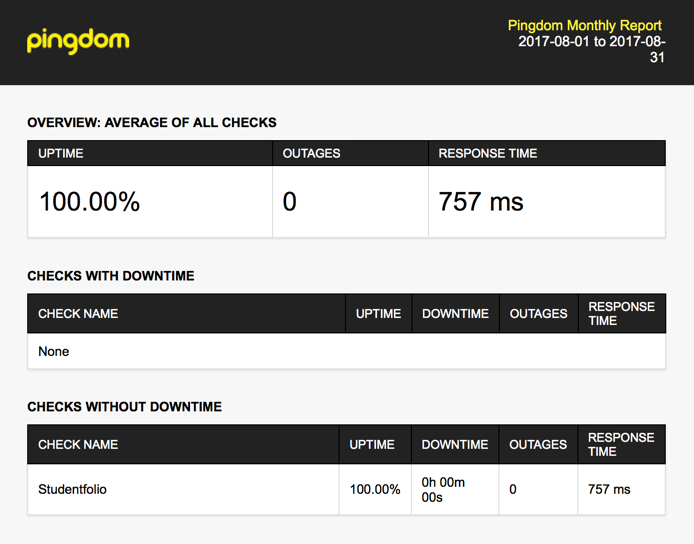 Studentcentral was up 100% with an average response time of 644ms. 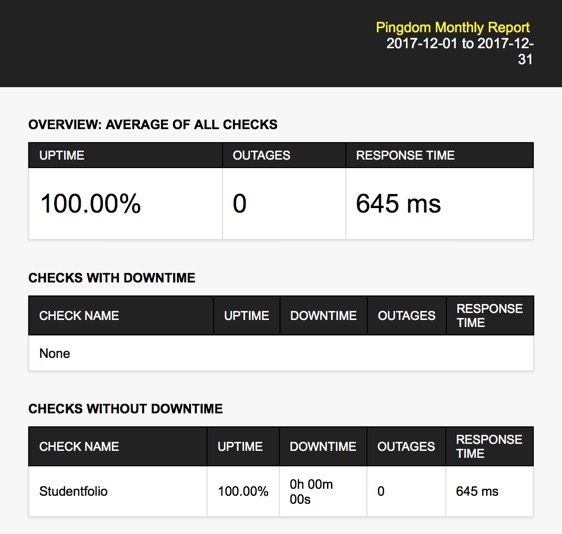 Studentfolio has shown no downtime according to Pingdom checks, and has an average response of around 629ms from Europe. Studentcentral shows several outages throughout July according to Pingdom tracking, and has an average response time of 426ms from Europe. 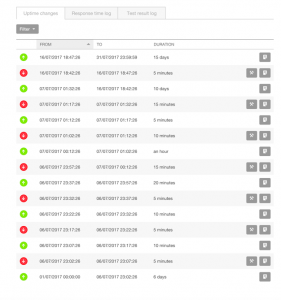 During this period Studencentral was upgraded to Learn9.1 2016 Q4 CU3.